This has been the year of the rosemary bush in my garden. The bush has declared war on all other herbs in the planter and appears for have set it's sights on the house as well. I fear that if we don't take drastic actions, we are going to have to cut window holes in the rosemary bush. Luckily though, I have a lot of great ideas for what to do with those clippings! 1Combine all of the marinade ingredients in a large resealable bag with the chicken breasts. 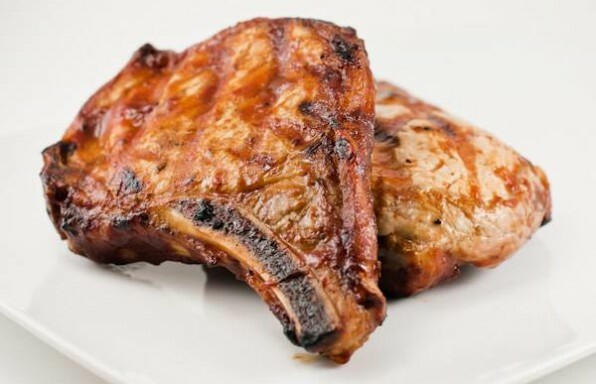 Squeeze out most of the air and place the bag in the refrigerator to marinade for at least 45 minutes. 2Remove the bag of marinating chicken breasts from the refrigerator about 20 minutes before you plan to grill, just to let them heat up a bit. 3Light and prepare the grill for high direct heat grilling. 4Once the grill is nice and hot, use tongs to remove the chicken breasts from the marinade and place on the hottest part of the grill. 5Grill for about 6 minutes per side, depending on the thickness of the chicken breasts. You can tell when it is time to flip them over for the first time because the chicken will get more and more opaque as it cooks through. 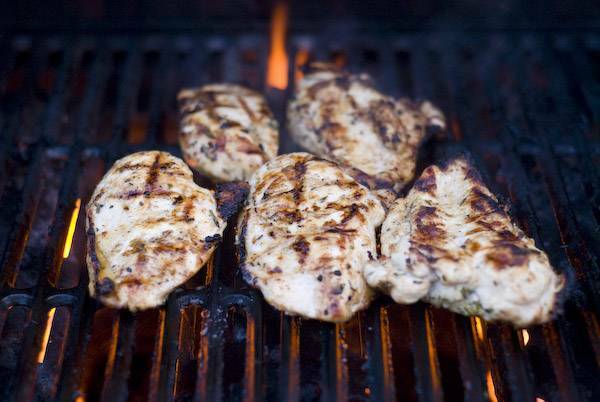 Check out the first photo in our post on how to prepare the perfect grilled chicken breast, you'll see what I mean. 6Check the doneness of the chicken breasts using tongs. As you'll recall when you placed the chicken on the grill, they were pretty limp. As meat cooks through, it becomes more and more rigid. With a little practice, you'll be able to pick up a piece of chicken with tongs, shake it up and down and be able to tell when it is done. If the chicken only bends slightly on the tongs, you can be pretty sure that it is cooked all the way through. Until you get good at this method though, use a meat thermometer. According to our doneness chart, you can be pretty certain that your chicken isn't going to polute your guests at around 160 degrees. That's it, another quick marinade for chicken breasts. I joke about the rosemary, but it is a great herb to plant in your yard for grilling. Rosemary is perfect for grilling because of it's woody texture. In fact, we sometimes like to grill directly over smoldering rosemary sprigs to create some great infusion, like in this other chicken breast recipe. So do yourself a favor and plant some rosemary. I recommend starting with a plant from the local store. If it's anything like my experience, once the bush starts growing it is going to give you lots of opportunities to use those clippings, just to keep it under control!